Always looking for members who want to be of service to their community. ! Bring out your beer bottles and cans, wine and liquor bottles. We will return them and put the funds to community betterment. 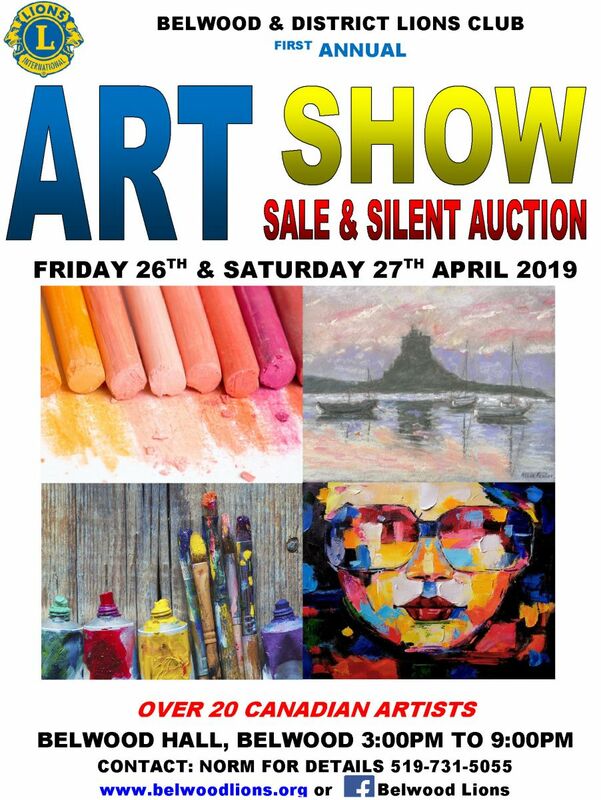 Belwood Lions ART SHOW, SALE & SILENT AUCTION - coming soon - Friday April 26th and Saturday April 27th 3:00pm to 9:00pm each day. See poster for details - FREE ADMISSION. Contact us if you are interested in displaying your artwork. 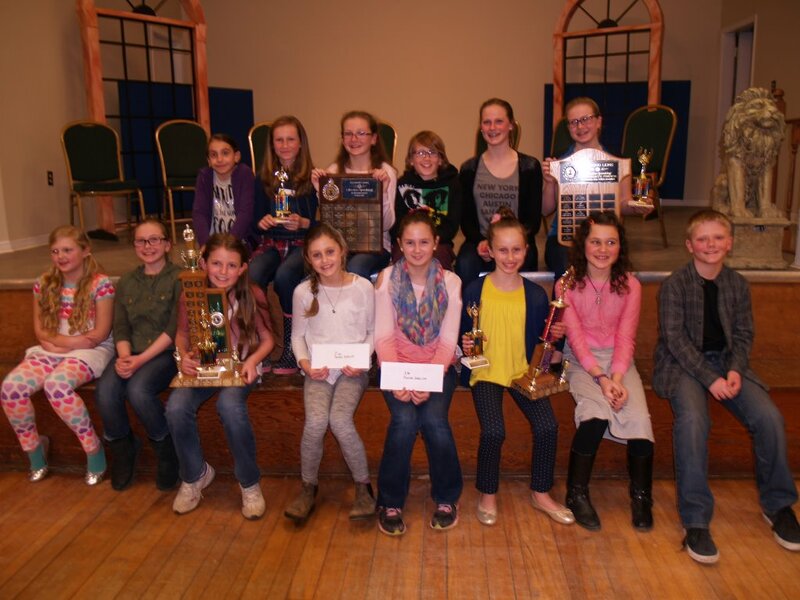 Belwood Lions held its annual public schools Effective Speaking competition Tuesday 5th March. Featuring 16 students from 3 local schools competing in 6 categories of Intermediate English / French and Junior English / French, including Intermediate impromptu English / French. Excellent presentations throughout, well recognised by our judges and organizers. Winners go on to Lions District competition later this month. We will be in touch to present your prizes. Thank you and see you again for next years draw. Belwood Lions Christmas Breakfast With Santa...Saturday Dec 8th. 8am to 11am. 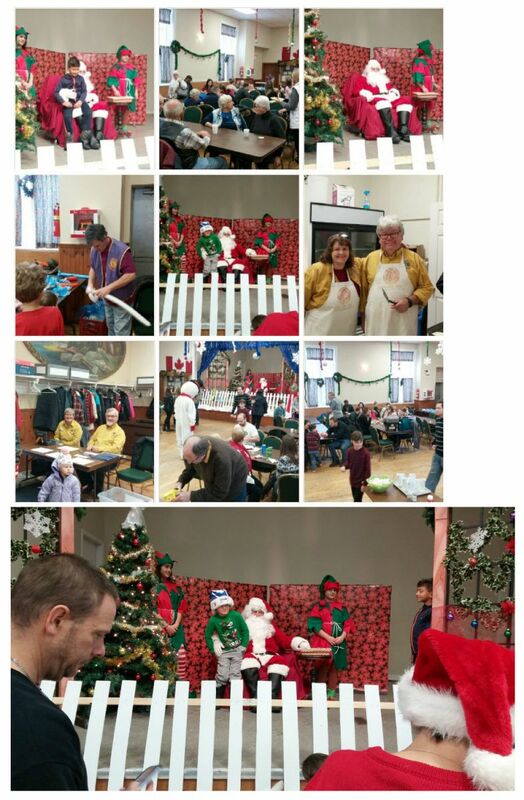 We had a terrific breakfast, and got to visit with Santa, snowman, 'balloon man' Parry and friends. All net proceeds were donated to Centre Wellington Food Bank in support of their Christmas drive. Many thanks to all who supported. 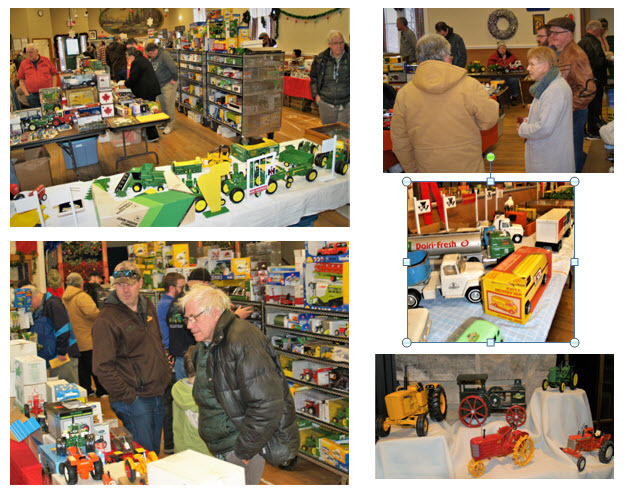 Belwood Lions Annual Die Cast Farm Toy and Collectables Show & Sale...Saturday Dec 1st. A good crowd came out and a grand time was had by all! Our annual 'one-of-a-kind craft sale with local craftspeople. 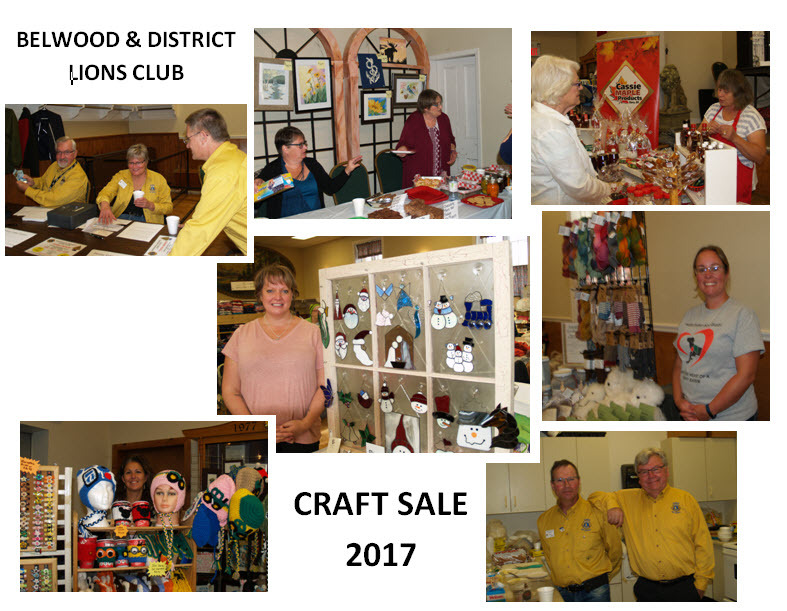 We had a great turnout from the vendors with a wide selection of knitted articles, clothing, wooden craft, birdboxes, embroidery, jewellery, household, personalwear, basically something for everyone. A steady flow of people came and particated. The food booth was steady, and the penny table was a hit. All in all a great day, and all had fun. 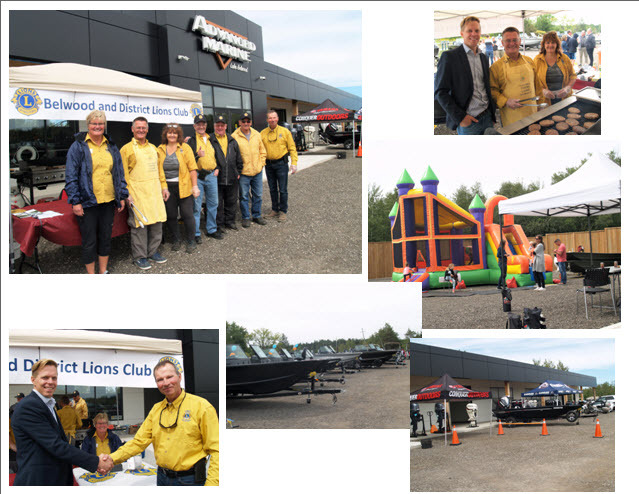 On September 8th, Belwood Lions, helped out at the grand opening day of Advanced Marine store in Belwood. In cooperation with store owner Steven VanLeeuwen, we served burgers and soft drinks and all proceeds raised went towards "Lions For Groves" initiative for the Diabetes Education Centre at the new Groves Memorial Hospital. Everyone had a great time for a great cause. 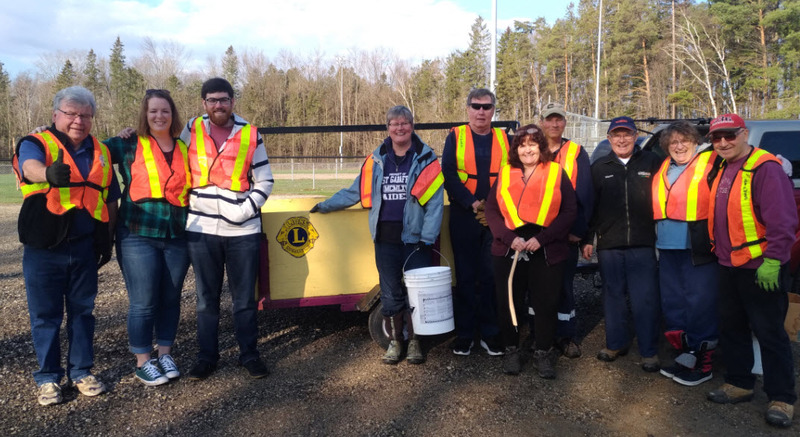 Belwood Lions, in cooperation with the Township of Centre Wellington and Wellington County installed 12 flowerboxes on the bridge on County Rd #26, and the pedestrian bridge in Belwood Village as part of Belwood Lions community beautification. 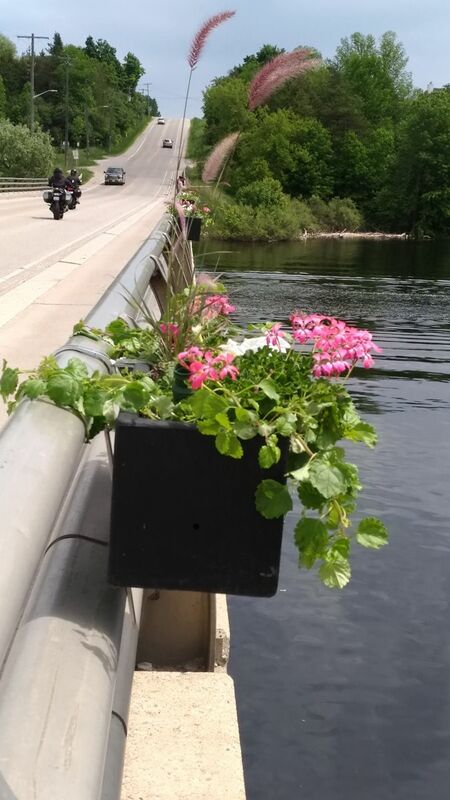 The flowerboxes provide a lovely splash of colour around the village and welcome visitors and cottagers alike. Members of Belwood Lions and Diabetes Canada volunteers spent part of My 24 weekend at Belwood Village "Toll Booth" for Diabetes Canada. Passing motorists were very generous in their donations. Money raised goes to Diabetes Canada activities. 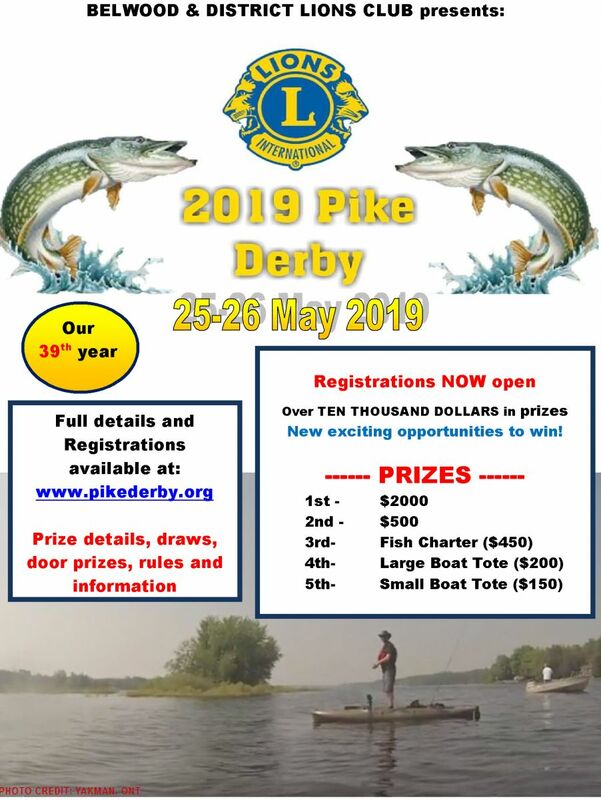 Pike Derby May 26-27 2018 is OVER. 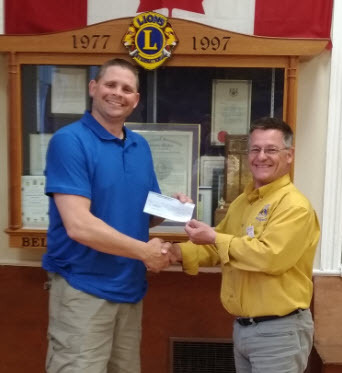 Joel Pegg, MNRF Officer accepts a cheque donation from Belwood & District Lions Club Past President Julian Vines toward the MNRF YOUTH OUTDOOR DAY program. Every September youth aged from 9-18 yrs register to attend a day of outdoor educational events, demonstrations and activities at Luther Marsh Conservation Area. 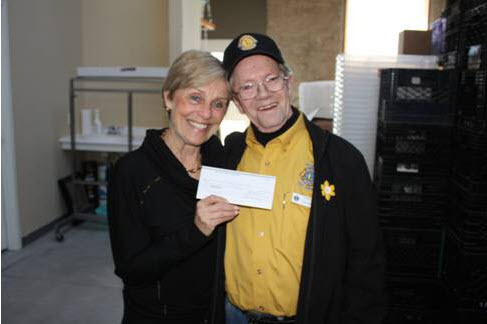 Jackie Andews of Centre Wellington Food Bank receives a donation from Sam Stewart of Belwood & District Lions Club to support their work within the community. 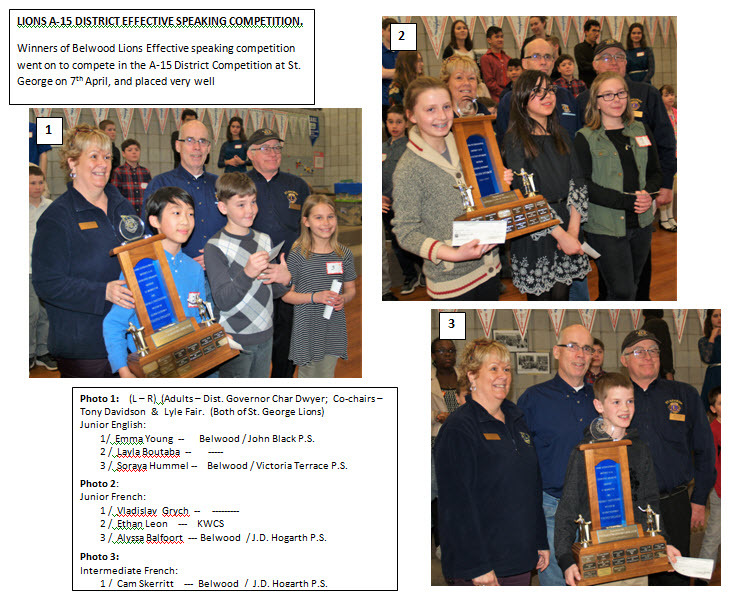 Belwood Lions hosted our annual Effective Speaking competition on Monday 26Feb for local elementary schools. 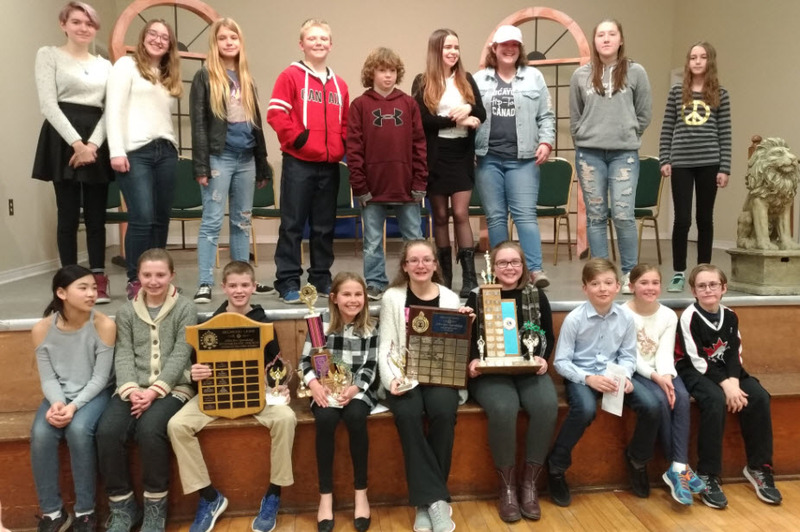 Eighteen competitors battled it out in the categories of Intermediate English, French, Impromptu,and Junior English, French.Winners go on to compete in the Lions District competition in April. A packed hall of parents/ grandparents/ siblings/ family and friends cheered them on. Refreshments provided by the Lions. 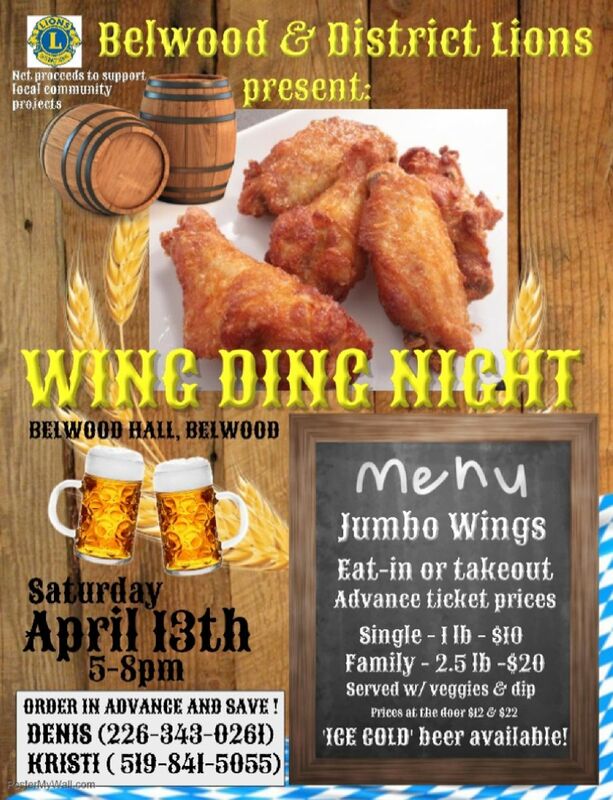 Belwood Lions Family Day - Family Fun Day 19 Feb 2018. Belwood Lions hosted a Family Day family fun day on Monday 19th Feb at Belwood Lions Ice RInk in Belwood. Despite the forecast of rain and overcast skys we had a good turnout and lots of fun on the rink. 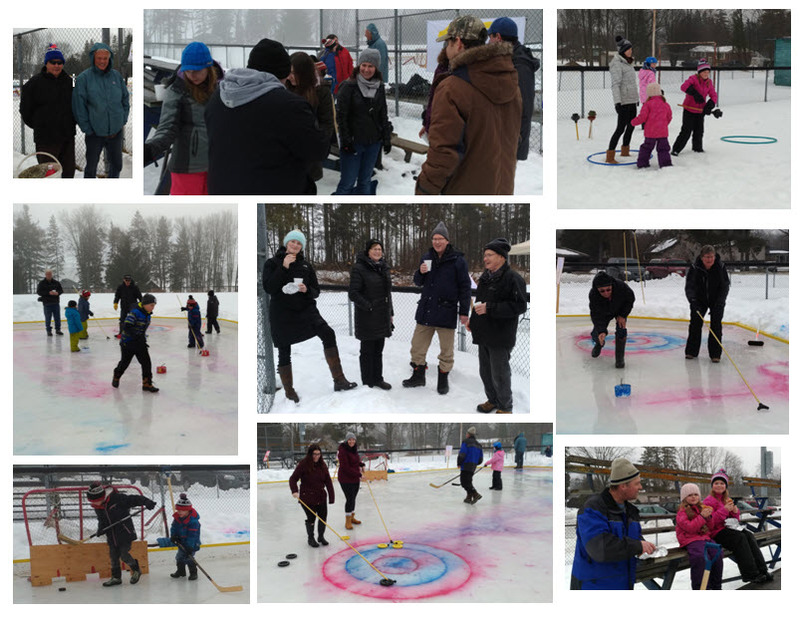 Families and kids alike enjoyed hockey shoot outs, curling, ice shuffleboard and plunger toss. Together with hot dogs, brownies, rice krispie squares, hot chocolate and coffee - a fun day was definately had by all. 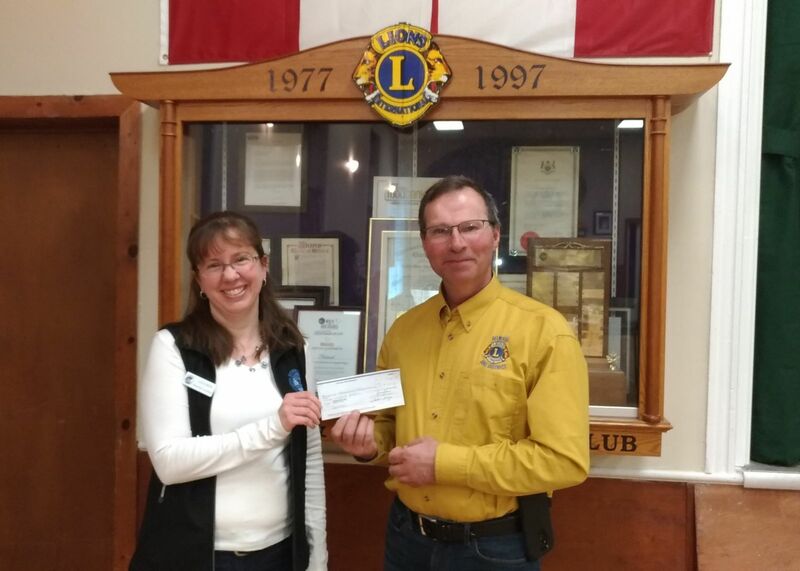 Lions for Groves Chairperson Denis Vinette, along with Belwood Lions President Julian Vines present a cheque to Groves Hospital Foundation Communications Officer Sarah Sheenen as part of Belwood Lions' pledge to the Foundation. 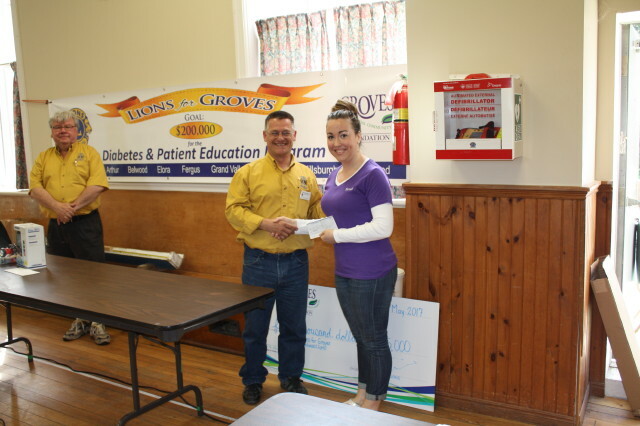 Lions for Groves is the formation of eight local Lions clubs Arthur, Belwood, Fergus, Elora, Grand Valley, Hillsburgh, Marsville, Rockwood with a goal to raise $200,000 for Groves Diabetes Education Centre. 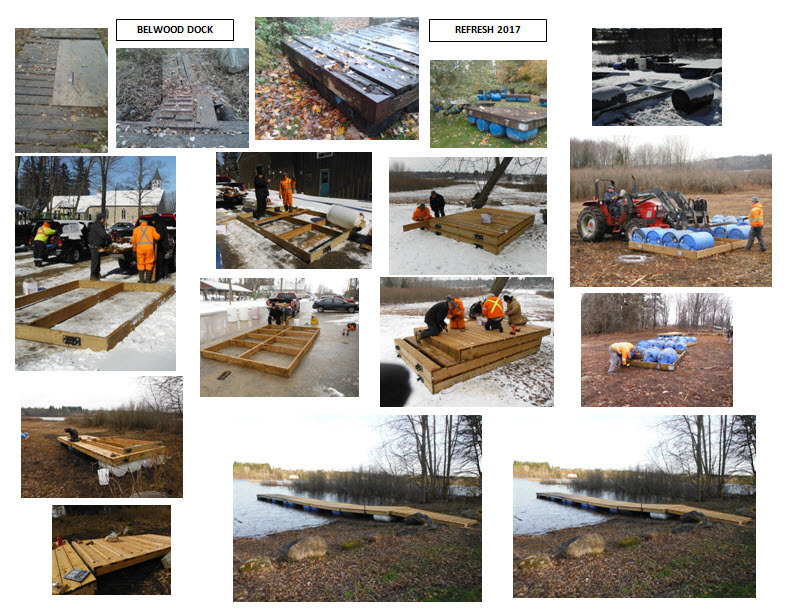 MANY HANDS DON'T ALWAYS MAKE "LIGHT WORK" MEMBERS OF BELWOODS LIONS WORK THROUGH SPRING THAW TO GIVE THE DOCK AT BELWOOD HALL A FRESH LOOK - REPLACING THREE SECTIONS AND BUILDING A NEW RAMP. 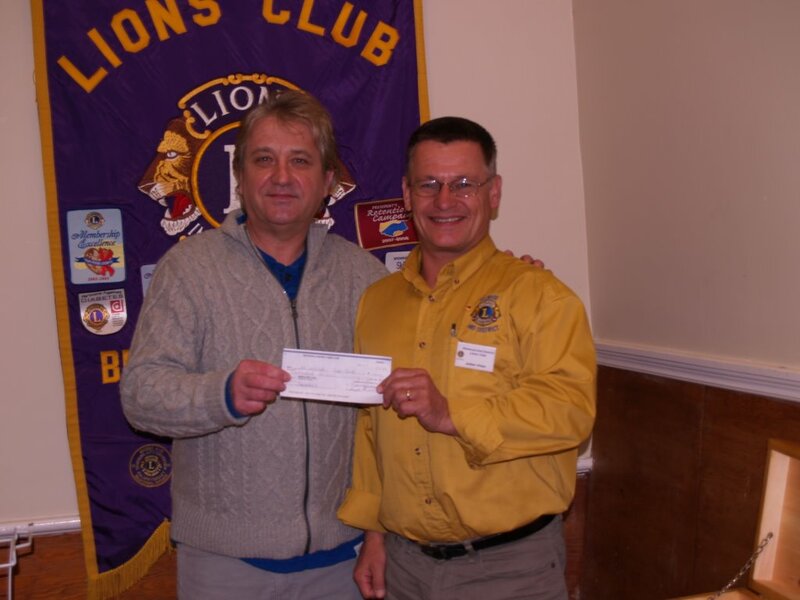 Pictured below is Belwood Lions President Julian Vines presenting a cheque to Fred Aleksandrowicz, Manager of Centre Wellington Food Bank. The Food Bank provides a vital service within our community, offering a host of services and councelling in addition to assisting putting food on the tables of their clients. 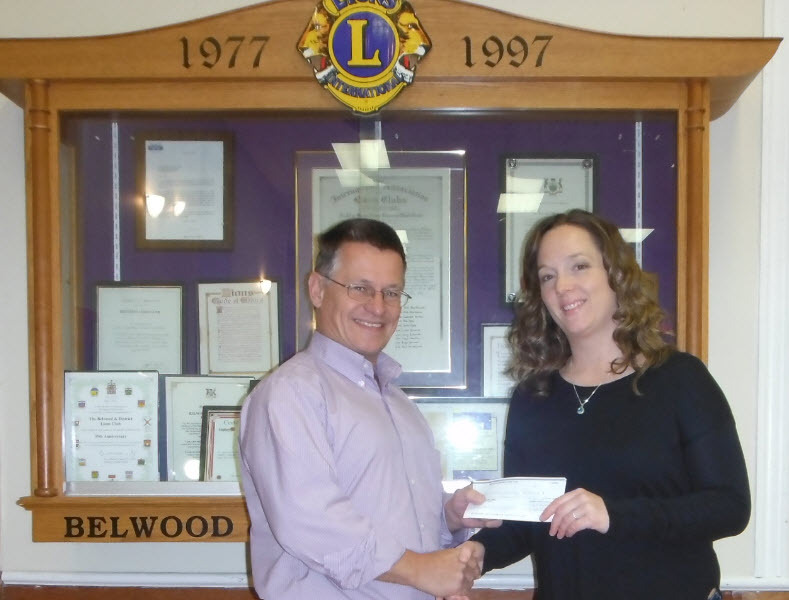 Pictured below is Belwood Lions President Julian Vines presenting a cheque to Melissa Mulligan, Parent representative of John Black Public School Playground Fundraising Committee. Their objective is to raise funds to purchase and install Junior and Intermediate Playground structures at the school for the benefit of the students. They are half way to their $50,000 target, and planning installation of the first structure this spring. 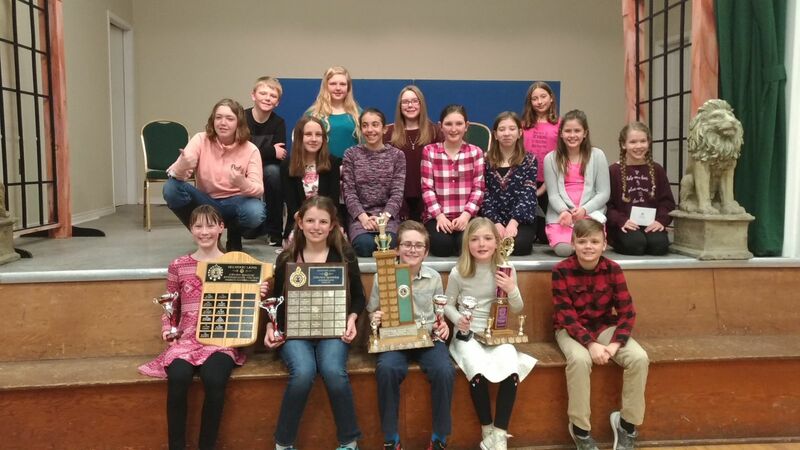 Belwood & District Lions Club hosted their annual Effective Speaking competition for area elementary school students on Tuesday evening, February 28 at Belwood Hall. Students from 4 Fergus area schools, namely John Black Public School, Victoria Terrace P.S., J.D. Hogarth P.S. and East Garafraxa P.S.. 15 students went head to head in 4 classes, Junior English & Junior French (Gr. 4-6) and Intermediate Eng. & French (Gr., 7&8). This event has been ongoing for more than 30 years. The fantastic evening of great speech presentations was capped off with the trophy and cash awards. The sky was the limit when it came to interesting subject matter. Check out these links of our Spaghetti Western show (Part One!).. 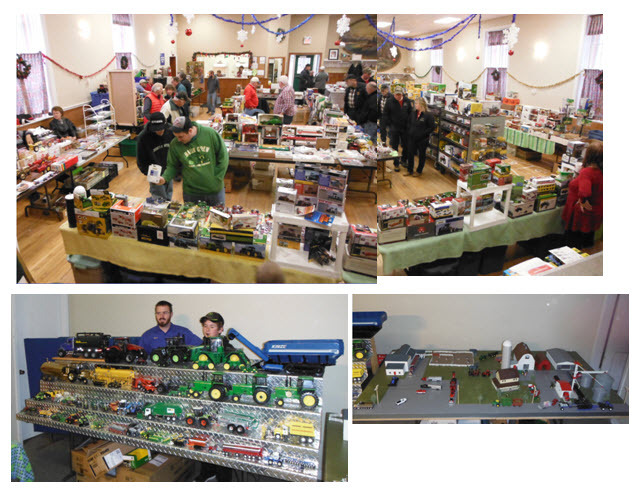 Sat Dec 3rd saw Belwood Lions host our 2nd Annual Farm Die Cast Toy Show and Sale. 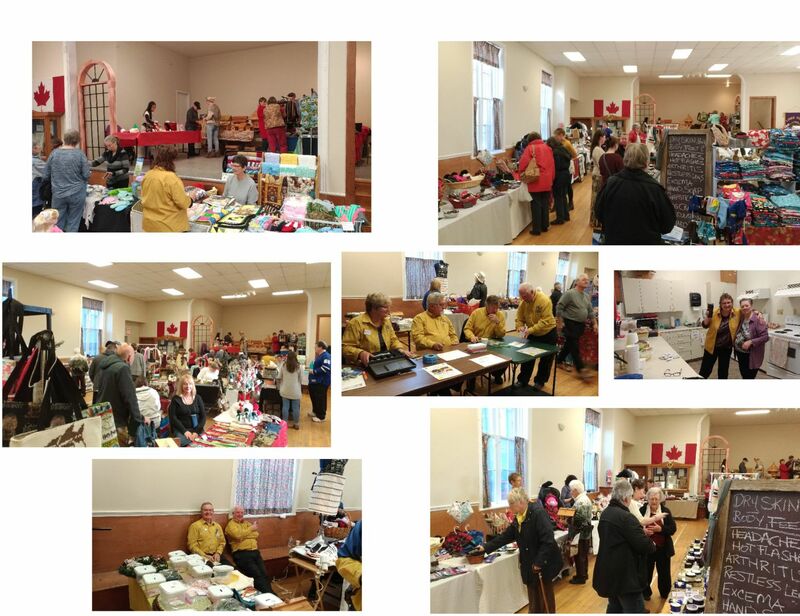 This year saw an excellent turnout of vendors and public to a great show. With draw prizes and a great food booth all morning and afternoon. 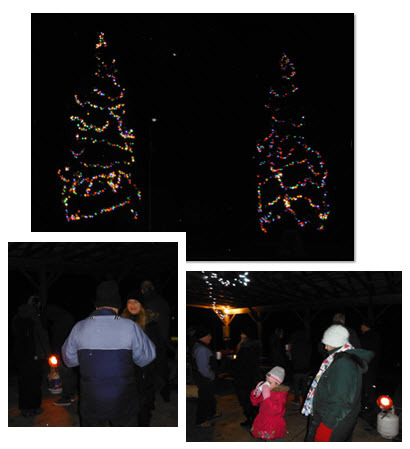 We're already booking for next year @ Sat 2nd Dec.
Fri Dec 2 saw the 2nd Annual Community Christmas Tree Lighting in Belwood Village. 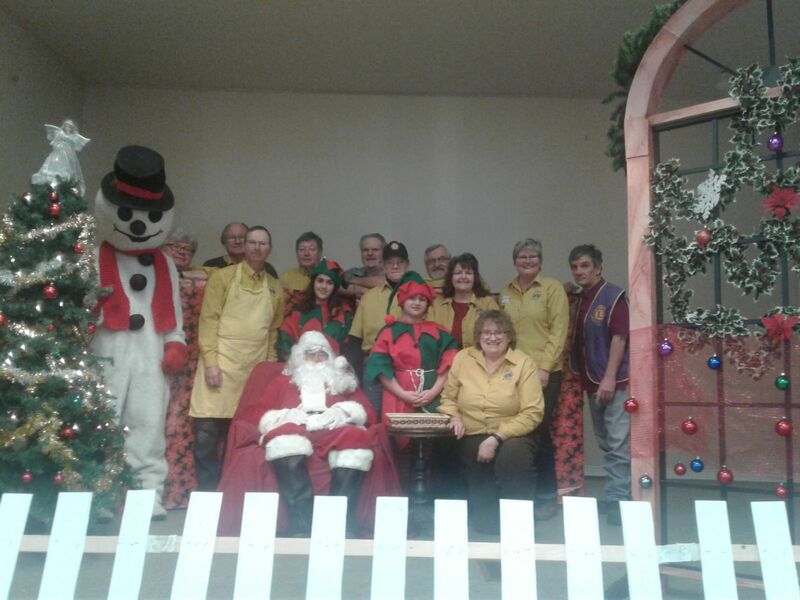 The community joined Belwood Lions in Maple park watch the tree lighting and enjoy hot chocolate, cookies, candy canes and neighbourly friendship. Thanks to the Lions and local business for stringing up the lights again this year. 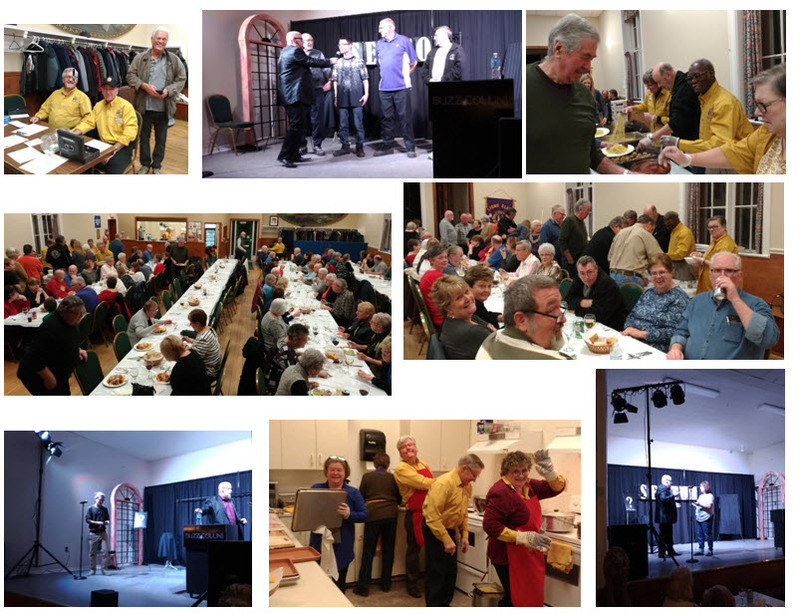 Listen to Grand 101 FM Radio to keep up to date with our events and hear interviews with our members. Recent Injury or Family/FriendsVisiting ? 1 - Toilet cover with handles - 18.5 inch seating width. 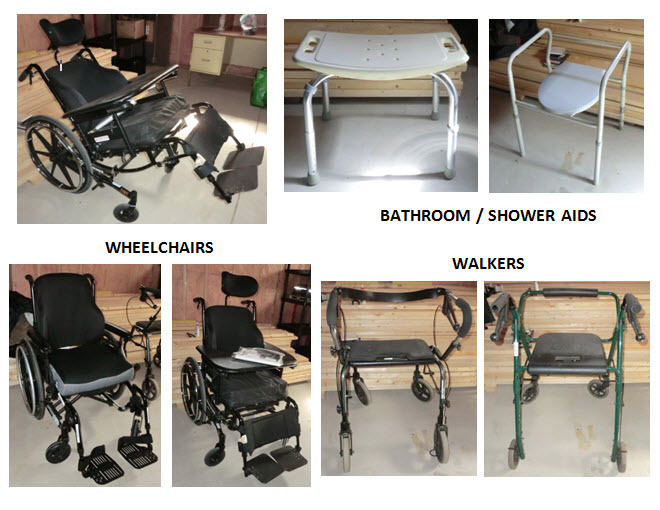 1 - Walker - 17.5 inches seating area width.